Racing motorcycles often have perfect proportions; they’re almost like the bikes you’d doodle in the corner of a schoolbook as a child. 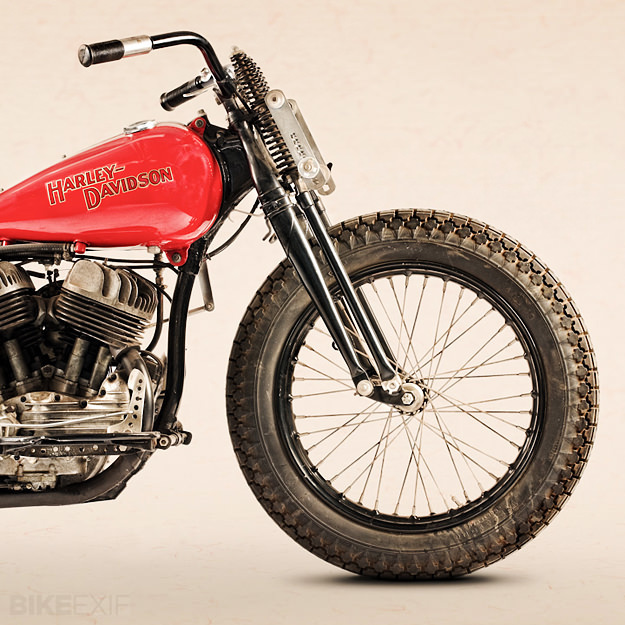 This 1946 Harley-Davidson is one of those machines, with an immaculate stance, perfectly symmetrical wheels and a beautiful economy of line. It’s a WR model, a rare find that has recently changed hands. It’s in full race trim, with a big carb, suicide clutch and heavy-duty Wico magneto. 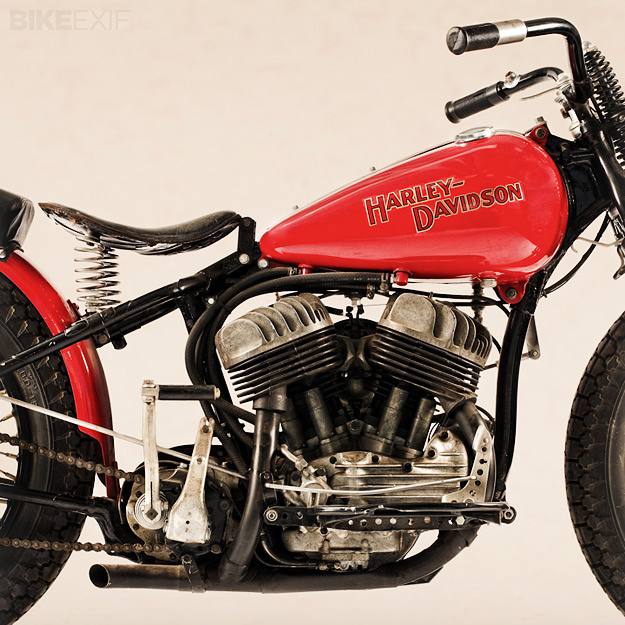 Originally raced by a privateer in the Pacific Northwest, it was retired in the 1960s when the new Harley KHK made its presence felt. The WR was stored in the back of a garage, its iron-barreled 738cc engine thoroughly worn out. 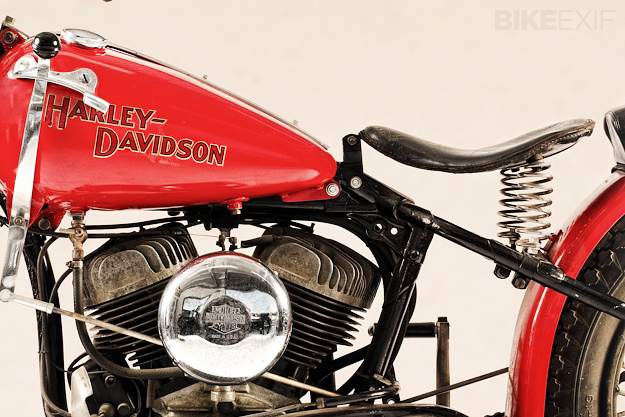 Around two decades later, the Harley was wheeled out into the sunlight again. The frame, lighter and stronger than any W-series road bike, was restored by Bill Brownell, who rode Indians and sold Triumphs in San Bernardino County, California. 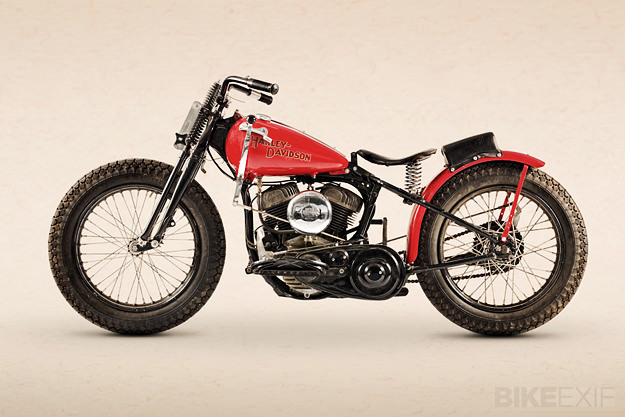 ‘Brownie’ also managed to get his hands on a genuine Harley-Davidson WR motor and three-speed gearbox. These had been built at the factory in the early 50s, and were still in the crate. With everything assembled and fettled into tune, the WR once again roared into life. Today, this fine piece of racing history is running the vintage motorcycle circuit in Australia—and once again, the Indians are chasing. 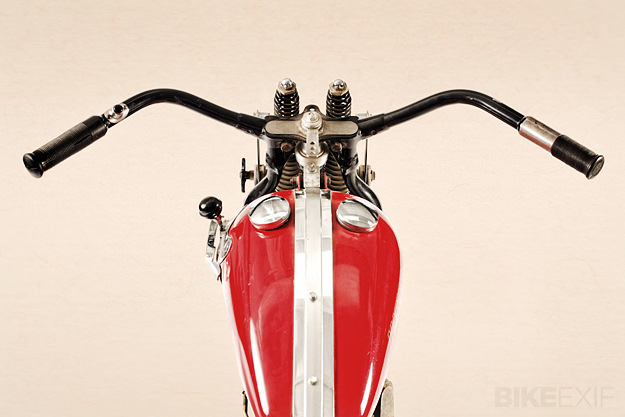 With thanks to photographer Jared Schoenemann and Tim Graber of Classic Motorcycle Consignments.